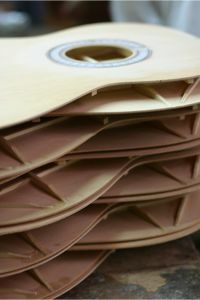 Most people knows that one of the most important factors in the sound of a good guitar is the wood selection for it but very few know that is even more important the drying process of the actual wood. 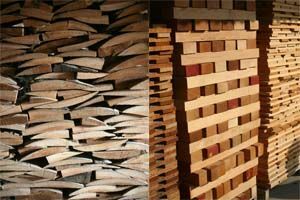 The ideal drying process for the wood used in a guitar is to let it dry in a correct climate. That takes time and require to be in the right place for it. Most companies that build guitars for the masses use artificial methods like special ovens to accelerate the process. Of course, the quality of that wood is not nearly as good as the one dried for years naturally. The south of Spain and particularly the mediterranean coast has the perfect balance of humidity and dryness for that purpose and most spanish manufactures have a large stock of properly dried wood in their factories. Solid cedar, solid spruce, indian rosewood, brazilian rosewood, ebony, cypress and other precious woods are aged for more than 15 years in some cases. Posted in Acoustic Guitars and tagged buy flamenco guitar, buy spanish guitar, classic guitar, classical guitar, flamenco guitars, guitars from spain, spanish guitar, Spanish guitar making. Bookmark the permalink.